Things have progressed quickly over, Sometime in 2014, it showed off a small 18” version (1,200 x 810px resolution), then in 2016 LG brought that up to 55”. Last year, the company demoed some truly bonkers displays – an S-shaped OLED, 139″ in size and 8K in resolution, and a double-sided 55″ display. 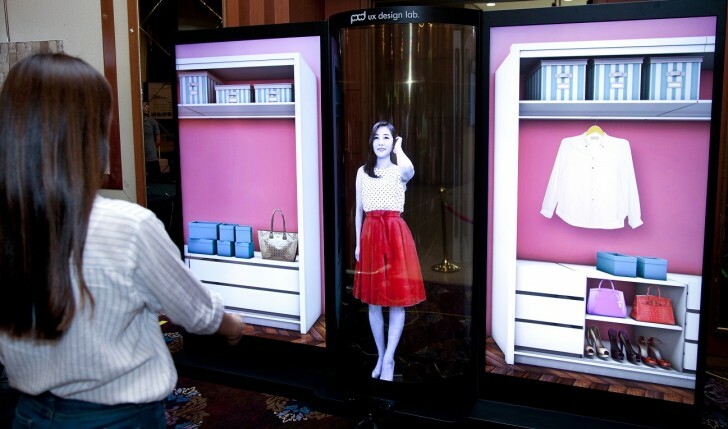 Now in 2017, LG Display just unveiled the World largest flexible transparent OLED display. Dimensions measuring 77”. It can be used on store fronts, smart desks and various augmented reality tasks. While a 77” slab would hardly be portable, this display can be rolled up to a radius of 80mm (just over 3”). The display has a transparency of 40% and a niceUHD resolution (3,840 x 2,160px). The Curvy, transparent screens struggled for resolution in the early days, but LG has been at this for 5 years (after it beat Samsung Display in 2012 for a government grant).